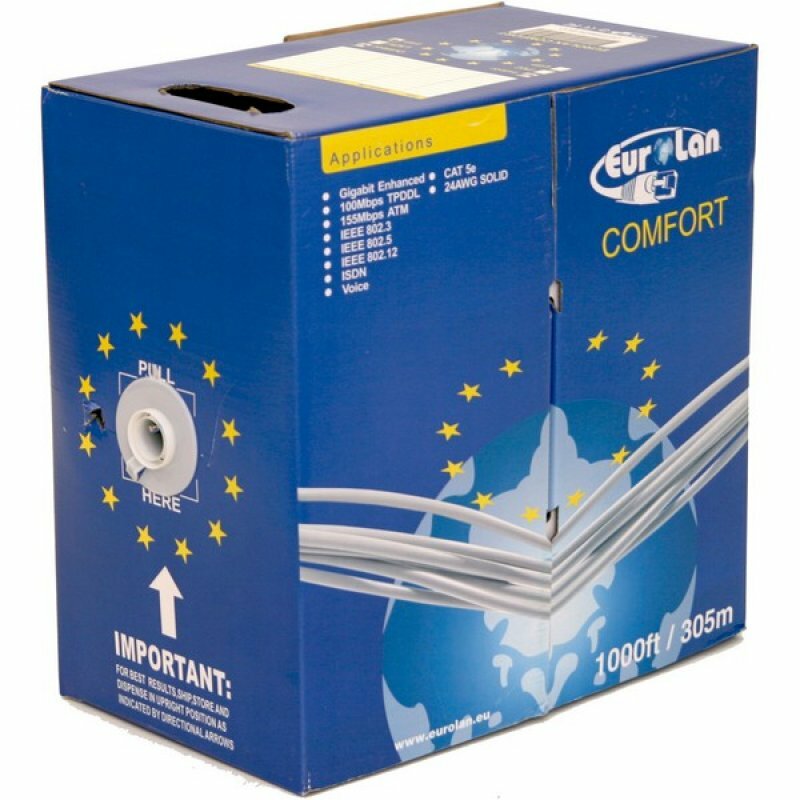 EuroLAN Comfort Outdoor FTP Cat5e cable PVC 24AWG 305m Box; Ethernet; network cable; price per Meter: 0,44 Euro! Preis pro Meter: 0,44 Euro !! Comfort EuroLAN high quality installation cable, designed for structured and distribution cabling. Cat5e LAN cables are designed for your LAN networking needs helping you setup and mantain your ethernet network. Tested to 100 MHz and 350 MHz our Cat5e cable is ideal for your voice, data, video and security network installations. Comfort and easy to use smart carton box helps you extend install and and transport your Cat5e cable.